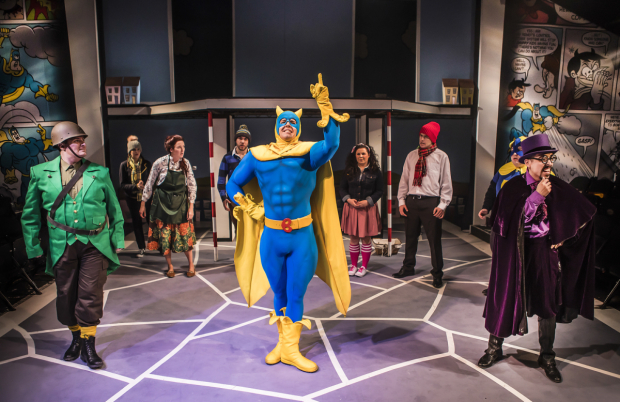 Armed with “the muscles of twenty men and the brains of twenty mussels,” Bananaman is here to save the residents of Acacia Road, and Bananaman the Musical is here to save off-West End theatregoers who are craving fresh and a-peel-ing new material. Beginning life as a comic strip in 1980, pastiche superhero Bananaman won further legions of fans with a mid-1980s cartoon series on the BBC. 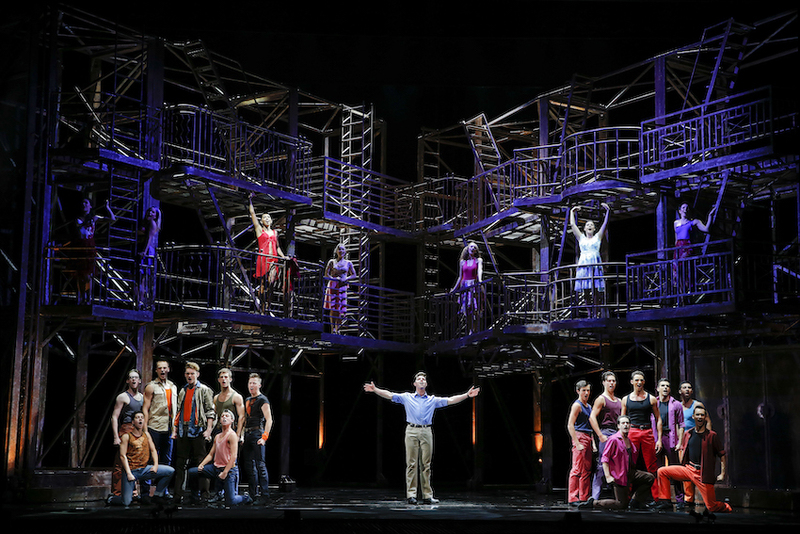 While a recently mooted motion picture did not eventuate, a stage musical proves the ideal vehicle for the zany characters and their outlandish exploits. Speaking of superheroes, Bananaman the Musical has book, music and lyrics all by one man: Leon Parris (no relation, it must be noted, to Man in Chair). Parris successfully combines the best of Bananaman over the years, telling both an origin story and an outlandish heroic caper. Dialogue occasionally becomes tangled in wordplay, but the overall tone, including cheeky meta references to the stage setting, is well judged. Parris’ toe-tapping music is instantly accessible and enjoyable. The score really comes to life in full company work, thanks to both the vocal talents of the cast and the excellent work by musical supervisor / orchestrator / vocal arranger Alan Berry. Likewise, the skilful work of associate arranger / keyboard programmer Tom Bayliss allows a full accompaniment to be achieved from only three musicians. The future prospect of a cast recording would be a welcome development. The infectious fun of the show is significantly enhanced by the high energy direction of Mark Perry, who has been blessed with a highly talented set of performers who are very well cast in their roles. Perry delivers a uniform focus, with all players committed to the internal logic of the Bananaman world. 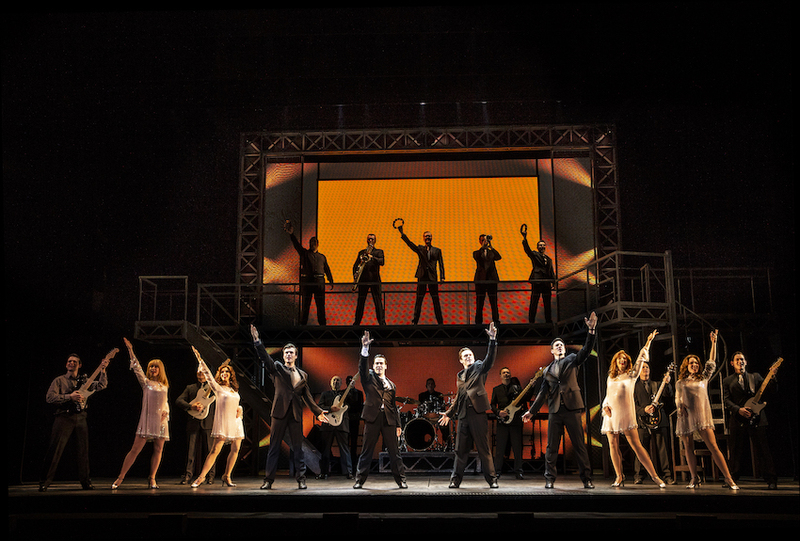 The cast works as a true ensemble, with all performers doubling as chorus members when their character is not centre stage. Choreographer Grant Murphy also contributes to the animated vibe, with a highlight being the sequence where each shot fired by the great big guns of the evil villains causes the characters to dance in a different style. 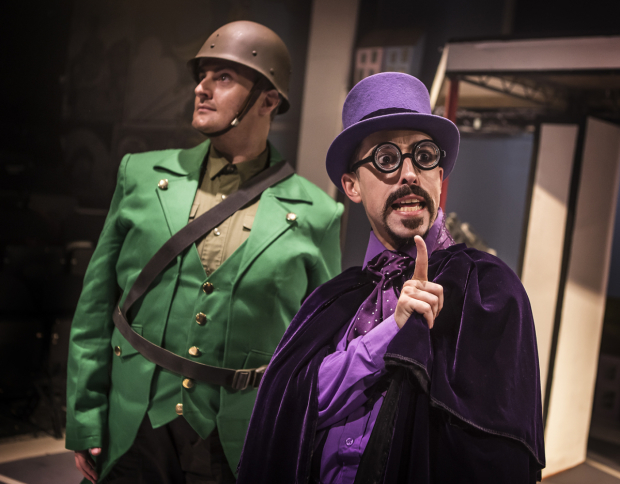 Designer Mike Leopold utilises the mezzanine of the Southwark Playhouse to create a range of settings and to maintain the episodic flow of a comic strip come to life. Working creatively on a tight budget, props and costumes have a colourful cartoon-like style. Highlights include Doctor Gloom’s purple velvet suit and, of course, the Bananaman costume, which is a brilliant match for the illustrated version, banana peel boots and all. Marc Pickering is perfectly cast as the malevolent Doctor Gloom, looking every bit the evil villain, and clearly relishing the daffy wickedness of the role. Mark Newnham proves a good sport in that he plays the wimpy alter ego of Bananaman, conscientious schoolboy Eric Wimp, but not the great man himself. 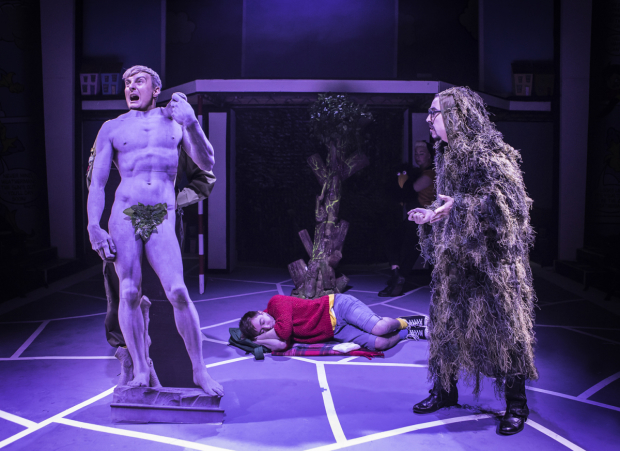 The fast costume change from boy to Bananaman, brought on by eating a banana, means that the title role is played another actor: Mathew McKenna. Newnham endearingly captures the awkward adolescent angst of Eric, while McKenna is every inch the dopey, but well intentioned, square jawed hero. 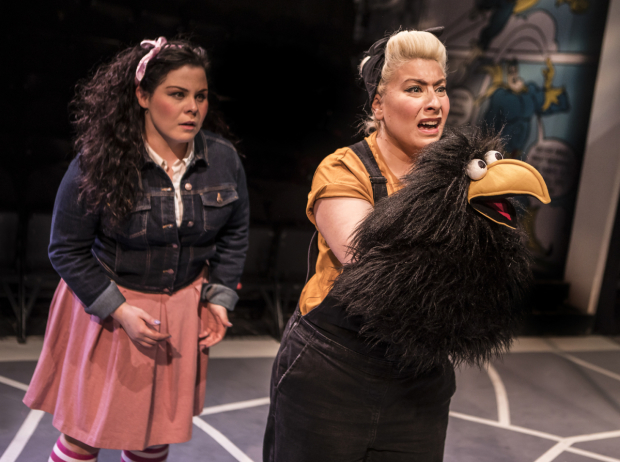 Jodie Jacobs brings a special warmth to Crow. Emma Ralston shines as plucky schoolgirl Fiona, updated to the present as a selfie-taking web reporter. TJ Lloyd provides plenty of fun as the bumbling, but good natured, Chief O’Reilly. Brian Gilligan is luxury casting as the Mad Magician. Although it would benefit from further polish, Bananaman the Musical is delightful entertainment for all ages, and will have a special place in the hearts of aficionados of the comic strip or cartoon series. 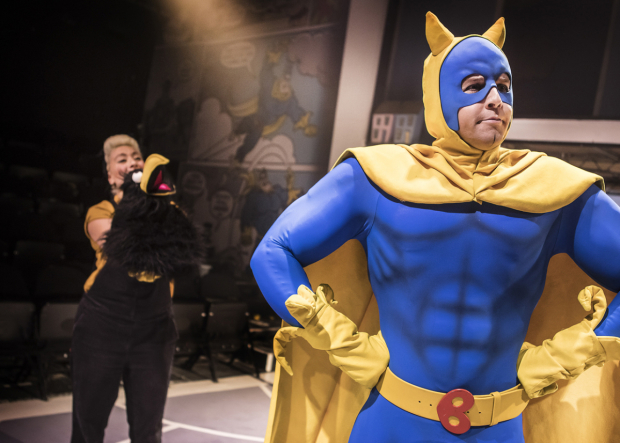 Bananaman the Musical plays at Southwark Playhouse, London until 20 January 2018.